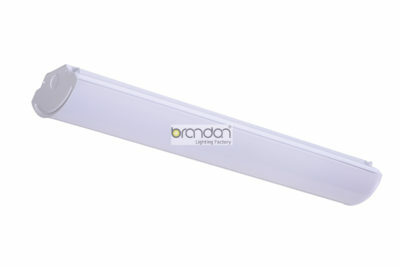 Brandon LED Wraparound mounts flush for wall or ceiling applications. Designed with an impact resistant-prismatic acrylic lens, this low-profile, linear and narrow wraparound uses ultra-efficient LED technology to help lower energy usage and costs. Providing widespread, uniform illumination. 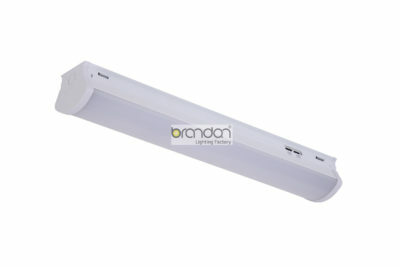 Ideal for many applications including corridors, kitchens, breakrooms, utility work areas and stairways. 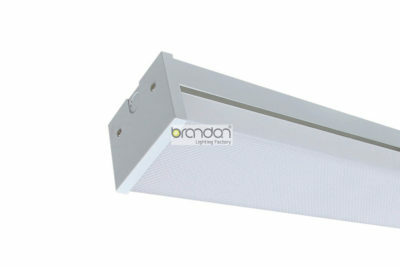 LED Wraparound mounts flush for wall or ceiling applications. 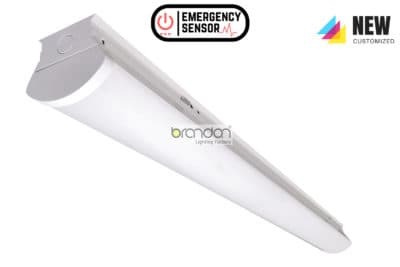 Designed with an impact resistant-prismatic acrylic lens, this low-profile, linear and narrow wraparound uses ultra-efficient LED technology to help lower energy usage and costs. Providing widespread, uniform illumination. Long-life LED system coupled with electrical driver to deliver optimal performance.LED’s available in 3000,4000 and 5000K with a CRI ≥82. Electronic drivers are available for 120-277V applications. A 0-10V(1-10V)dimming control is available.